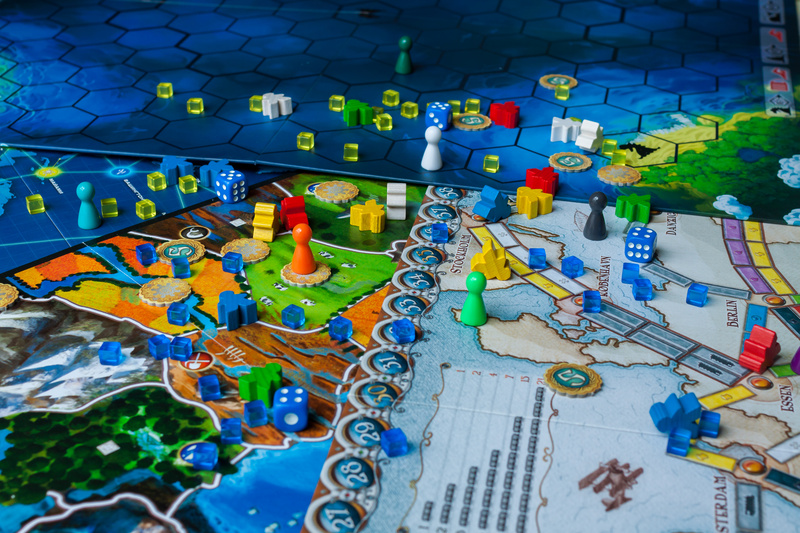 UCL Sci-Fi’s uncontested most popular weekly event is board gaming, held every Wednesday evening on UCL Campus from 6 pm until 9 pm (followed by the pub until about 11 pm). We also run thrice termly all-day board game events on Saturdays 12 pm until 9 pm. There is no need to know any of the rules since we will happily teach these, so just turn up, introduce yourself and we’ll take everything from there.